Several factors such as size and depth of the wound, as well as your age, will determine if the scar needs minimal or a large amount of treatment. Injections containing the steroid called cortisone can reduce the appearance of raised scars, such as hypertrophic scars and keloids, by softening them, which makes them flatten and shrink. Injections containing soft-tissue fillers — such as collagen, fat or hyaluronic acid, for example — can also help elevate scars that are both indented and soft, which makes them less visible. While injections have an immediate impact on improving scars, they are not a permanent solution and require subsequent treatments for continued effectiveness. Laser procedures help reduce the visibility of scars by lightening them if they are a different color than surrounding skin, or decreasing their prominence if they are either indented or protruding. 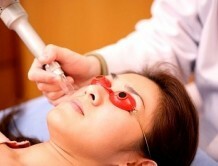 Lasers, such as the carbon dioxide and pulsed dye varieties, use a beam of light with immense energy to alter the appearance of damaged skin by removing or reshaping the scar tissue. Alternatively called “laser scar revision” or “laser skin resurfacing,” such procedures can also reduce the burning and itching related to scars, and they may require multiple or regular sessions. Some over the counter scar removal ointments and remedies have been shown to significantly reduce the appearance of scars, smoothing and flattening them, and blending them into the natural surrounding skin. Will Medical Insurance cover Scar Treatments? In most cases scar treatments are considered optional and as such, most health insurance plans will not cover it. There are instances, however, when cosmetic surgery is medically necessary and is thus, covered under health insurance plans. For example, if you are in an accident such as a fire or automobile accident, especially when injuries to your face result, this falls into the category of medical treatment rather than surgery solely for cosmetic reasons.